In an engaging tale about the Indian family business behemoth, the GMR Group, Professor Kavil Ramachandran, Professor John L Ward, Rachna Jha and Sachin Waikar, look at the multifarious issues that underpin family businesses. The GMR Group had reached great heights of success, but disagreements and confl icts among family members threatened to hamper its progress. To counter this, GM Rao, group founder and Chairman, spearheaded the creation of governance structures and a family constitution that would serve the purpose of an organisational blueprint for current and future generations. By 2010, GMR Group, a multi-billion rupee diversified family business, had achieved spectacular success. With soaring net assets, leaping profits and international markets beckoning, the business was happily situated. Its executive team consisted of GM Rao (59), founder and Chairman, his two sons, Raju and Kiran, both in their 30s, and son-in-law Srinivas Bommidala (SB), who was in his mid-40s. Rao knew that the executive team had to work like a well-oiled machine for future growth. He invited external consultants and globally reputed family business experts to work closely with the family to develop a family constitution that would act as the blueprint for organisational governance. Building the constitution was in itself an arduous task that spanned hundreds of hours over several years, but ultimately, implementing it would be the real test: dependence on external expertise was to be gradually reduced and family executives were expected to become selfreliant in resolving conflicts. With its antecedents in a joint trading venture started by Rao and his three brothers from the inheritance they received from their father, GMR Group was born as an independent entity in 1988 when Rao amicably separated from his brothers to sow the seeds of his own business empire. Meanwhile, Rao had also been serving on the board of Vysya Bank since 1985. The stint with Vysya Bank culminated in Rao purchasing the bank in 1993. His full-time involvement with the bank compelled him to relocate his own firm’s headquarters from Hyderabad, to Bangalore in 1995. During that period, GMR had also brought Bank Brussels Lambert (BBL) on board, which he later sold to ING Bank, with Vysya Bank as part of the deal, in 2002. Not only did this experience help him understand the workings of the banking world, it also helped him learn how many good businesses went down the drain due to family infighting. Rao’s involvement with the bank helped him find opportunities to diversify the group’s holdings into many sectors, including ferro-alloy manufacturing (1991-92), sugar production (1995) and breweries (1998). India’s economy was increasingly liberalised during the 1990s, aiding Rao’s growth initiatives, which extended to a 200 megawatt (MW) power project in Chennai in the mid-1990s and the commissioning of a barge-mounted power plant, the world’s first and largest, in Mangalore in late 2001. Rao recognised the opportunity India’s exploding infrastructure represented, moving the group first into highways and then into the airport sector early in the new millennium. After several realignments within the various businesses that comprised GMR Group, Rao took GMR Infrastructure, which encompassed operations in power, roads, and airports, public in 2006. The same year, Rao retired from the bank. Progressing rapidly through the years, the group had come a long way, from an independent proprietary enterprise to a family-owned holding corporation with several companies under its aegis and a growing number of external stakeholders. Before finally focusing on infrastructure, Rao had established and later sold off a number of small and medium-sized ventures including information technology (IT), rice milling, oil crushing, ferro alloys, steel rolling, timber exports and garment exports. GMR Holdings Private Limited was GMR Group’s holding company, while its two subsidiary companies GMR Infrastructure Limited and GMR Industries Limited (airports) were listed on the Indian stock exchanges. By 2006, GMR had a sugar division that processed thousands of tonnes of cane per day; it developed and oversaw several power plants in India with many more planned, along with joint power ventures in Asia, Europe and Africa; it had constructed and operated several road projects, some on build-own-transfer (BOT) contracts, and it had earned contracts to build and/ or operate airports in Delhi, Hyderabad and a few countries abroad. The ownership structure had remained consistent over time, with equity proposed to be distributed equally amongst Rao, his sons and his son-in-law. The primary role of the women in the family was that of caring for and nurturing the family. They were not directly involved in the business; however, they were deeply involved in philanthropic activities through the GMR Varalakshmi Foundation (GMRVF), the Group’s corporate social responsibility arm. The leadership baton was to be handed down through the male line, and Rao proposed that once he stepped down, his successor should be chosen from among the remaining three male members of the family. His sons and son-in-law were well qualified and highly experienced in business operations; thus, there was no question of naming an outsider as Rao’s successor. However, it was important for Rao that the giant GMR Group be managed without discord. The leadership baton was to be handed down through the male line, and Rao proposed that once he stepped down, his successor should be chosen from among the remaining three male members of the family. His sons and son-in-law were well qualified and highly experienced in business operations; thus, there was no question of naming an outsider as Rao’s successor. Rao was well aware that by the turn of the millennium, India’s economy had opened up considerably, and consequently, become very competitive. He endeavoured to develop a sustainable coping mechanism that would help his family enterprise stay ahead of the race. He launched a number of organisational initiatives that included gaining greater clarity on roles and responsibilities and instituting more formal systems of family governance. The GMR Holding Company Board formed the apex decision-making council of the family for all GMR- held companies. With the group expanding and diversifying, individual responsibilities increased. Subsequently, with the aim of reorganising the group’s corporate structure, Rao engaged the strategy consultancy, McKinsey & Company, in 2006. With greater clarity on their roles and responsibilities, Raju, Kiran and SB’s paths diverged and they went on to manage their allocated sectors within the group. It was decided that they would rotate roles every three years to gain experience in each of the various sectors of the group. An experienced man such as Rao knew that many business families faced bitter disputes and bankruptcy due to poor governance. Thus, “keeping the family together, from generation to generation” was Rao’s personal credo, and he was convinced that this would be the differentiator between growth and stagnation. He adopted a proactive approach towards fostering stewardship among family members to promote the Group’s long-term success and sustainability. Several specific events and initiatives grew out of Rao’s new focus on family governance. He began by convincing all the family members to attend a national conference on family business. Rao used this shared experience to form a family council. The four male family members, their wives and two independent non-family executives constituted the council, which steered top-level strategic decisions and approved business and annual operating plans. It also identified and groomed future leaders. They discussed the values, mission, vision and key policies that would go into their proposed family constitution. To assess the family’s situation and make governance- related and other recommendations, Rao invited an internationally known family business advisor. In 2002, after several private sittings and interviews with the advisor, the family council generated a long- term agenda and roadmap for navigating the family governance terrain. To make his mantra of “keeping the family together” work in practice, Rao also included several formal organisational structures in the constitution. An experienced man such as Rao knew that many business families faced bitter disputes and bankruptcy due to poor governance. Thus, “keeping the family together, from generation to generation” was Rao’s personal credo, and he was convinced that this would be the differentiator between growth and stagnation. The following year, with outside assistance, the family refined the roadmap, fixed an agenda of top priorities, and carried out other key tasks. Having participated in several meetings that pivoted around these focus areas, the family was energised about creating a written family constitution that would include values, key policies and processes. Throughout the process, the family remained steadfast about maintaining harmony; however, it soon became apparent that individual aspirations had to be taken into account while charting the constitution. The family signed its constitution in 2007, sending a strong message that their family business was here to stay. It was the first Indian family businesses to have a written constitution — a detailed document on the rights and duties of family members with respect to business. Though it was not a formal legal document, the signed constitution served as a ratification of each family member’s commitment to the principles of thoughtful governance and transparency. Employees and outside stakeholders alike considered this a monumental development; the family had proved its determination to institutionalise the GMR Group. Two separate though overlapping sets of core values for the family and the business were instituted as a precursor to the constitution. The family constitution articulated and elaborated on each set, as these were considered the pillars of the family business’s culture and continuity. Adherence to these values, the family believed, would ensure a seamless transition of the business from one generation to another and enable professionals to take on their rightful roles without any interference from the family. In fact, the family spent about 15 minutes reflecting over the core values before ever y important meeting. The constitution also mandated that day-to-day business operations would be managed by highly qualified non-family executives, while high-level strategy decisions would fall within the realm of the four family executives. The constitution provided in-depth guidelines on several process aspects as well as the group’s vision and mission. An illustration of this could be seen in the Family Code of Conduct, which prescribed a process for managing and resolving differences within the family. It laid down the rules and qualifications for family members entering the business, as well as their remuneration and perks. Just as any other employee, future generation members were to be remunerated on the basis of merit and performance. To mitigate partiality, their promotions and appraisals were to be conducted by non-family board members by the same rules that were applied to other employees. The constitution highlighted aspects related to Rao’s succession as well. It also contained rules for conducting family meetings, for the setting up of four separate family trusts as well as the media policy and protocols for the distribution of dividends and allowances for the family, among several others. Subject to a review every decade, the constitution was accepted and signed by all the four family executives. Having experienced discord and conflict, Rao and the family appreciated the need to have sustained mechanisms for engendering collective thinking, respecting individual differences and aligning aspirations. Accordingly, they called on the expertise of professional facilitators and counsellors to help them achieve this purpose. 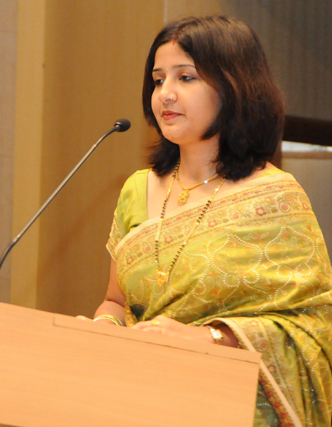 Once the family undertook to create its constitution and other governance mechanisms, Rao hired a well-known process consultant in human behaviour, with wide experience in the area of family business, to assist the family in drawing a family governance structure and helping them articulate the family mission, vision and values. The consultant asked the family members tough questions, which compelled them to introspect and understand their expectations and aspirations with respect to the family and business. His role was largely that of a facilitator, who intervened when tension built up among family members. The group also brought on board the ex-general manager of one of India’s largest banks as another external consultant. His role was to oversee family governance in collaboration with the human behaviour and family business expert and to establish the family office. The Founders Business Office was to serve as a training centre for the third generation of the family. It was expected that the suggested training and mentoring programmes would help them emerge as mature leaders for the business and family. When the heady early days of signing the constitution had passed, in order to practise the tenets espoused in the constitution, professional counsellors from the United States (US) were hired to help family members maintain and develop emotional intelligence, openness and constructive communication skills. Two family facilitators mentored the four family units over a period of time, under the guidance of the human behaviour and family business expert, who became a member of the executive board of the group holding company. The family had clearly benefited from the counsel and facilitation of outside consultants. However, Rao’s intention was to reduce the family’s dependence on such experts in a phased manner so that the family members themselves became more skilled at engaging in meaningful dialogue without outside help. Though the process was difficult at first, family members gradually gained confidence in it and were able to reach a consensus on various issues amicably. If creating the constitution had been so challenging, how much more of an uphill task would it be to get each of the family members to live it in spirit? Rao wondered. How the next generation would respond to it remained to be seen. Though Rao was relieved that he had been able to promulgate the constitution in his lifetime, he was concerned about whether his children and grandchildren would uphold the family’s values and remain as passionately committed to the constitution. Given the rapid pace and intense effort with which Rao had created governance structures and systems in the family, several new concerns emerged. With the phasing out of consultants, the onus of maintaining clarity on the roles and responsibilities of individual members — a tall order — would fall on the family. Further, the decision to move family members out of operations and limit themselves to strategy-making in the years to come could make for a bumpy ride ahead. It would be impossible for the male members of the family to satiate their hunger for accelerated growth without continuing to remain deeply involved in the family business. Moreover, as India’s economy became increasingly complex and competitive, external pressures to sustain the group’s high standards of performance would make it necessary for all of them to get neck deep in the workings of their business enterprise, leaving limited time for family governance matters. It remained to be seen if they would be able to find a true balance between work and family life. Would all of them deliver value equally according to the expectations of other stakeholders, without creating any sense of division between the sons and son-in-law? Underlying all these imponderables was Rao’s wish that GMR Group would maintain its above par performance, engineered by a close and supportive family, well into the future generations. He hoped that the constitution and family governance structures he had brought to life would help, rather than hinder, this vision. Arohini Narain, co-founder and consultant, Writer’s World, wrote this summary for ISBInsight. 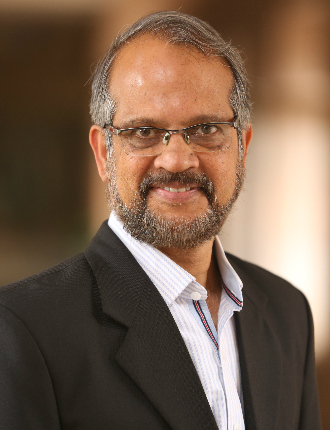 Author Note: Professor Kavil Ramachandran is Clinical Professor, Entrepreneurship and the Thomas Schmidheiny Chair Professor of Family Business and Wealth Management at the ISB. 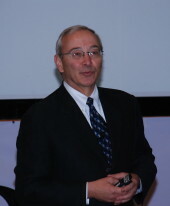 Professor John L Ward is Clinical Professor of Family Enterprise and Director of the Centre for Family Enterprises at the Kellogg School of Management, Chicago (US). Rachna Jha was formerly a research assistant at the Indian School of Business (ISB). Sachin Waikar is an independent writer and editor. Clinical Professor of Family Enterprise and Director of the Centre for Family Enterprises at the Kellogg School of Management, Chicago (US). Formerly a research assistant at the Indian School of Business (ISB).